Lots of people have asked me for my prediction, and my answer is that I don't really have one. I'm not really rooting for anything in particular; in this case - having seen soooooo much speculation already! - I'm perfectly content to wait and see what happens. I have, however, compiled a few options and am more than happy to open up the speculation floor to you all. I picked six possibilities (and the question mark of a seventh) to lead us off and you can disagree and throw more into the mix in the comments. As always, click the tiara name for more information! 1. The Strathmore Rose Tiara: Resting in the vault, unworn for decades. Is this its moment? 2. The Queen Mother's Cartier Bracelet Bandeau: The bracelets are worn by the Queen today and the bandeau format hasn't been seen in decades. Will it make a big return? 3. Queen Mary's Lozenge Bandeau: We don't even know if this one is still lurking in the vault, but it'd be a lovely option if it was. 4. Queen Mary's Fringe Tiara: Some of you have ruled out anything for Meghan that's larger than what the Duchess of Cambridge wore. I'm not as fussed about that, so I can't resist throwing this one in. It's only rarely used by the Queen, making it one of the notable tiaras still looking for a regular wearer. 5. Marie Feodorovna's Sapphire Bandeau: Is it even an option? Question marks abound, but speculation makes it popular, so we'll toss it in the mix. 6. 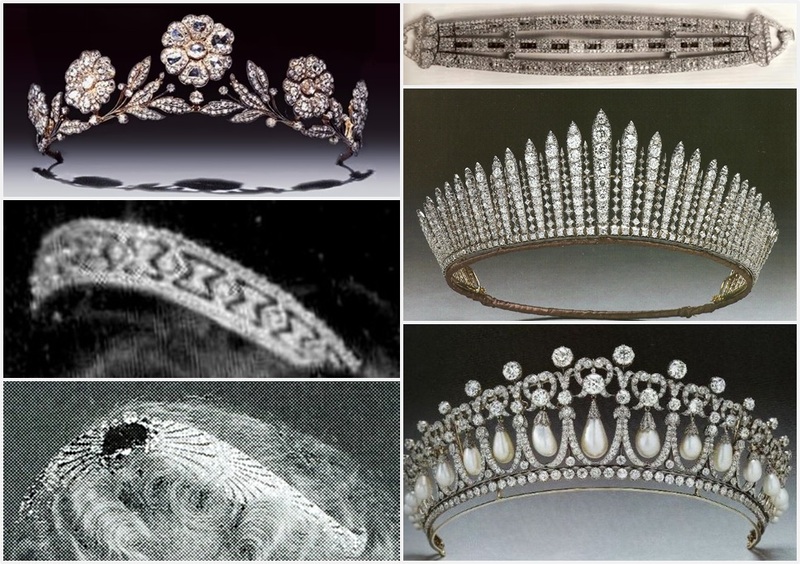 The Cambridge (Queen Mary's) Lover's Knot Tiara: A lot of people are hoping for the Spencer Tiara for a big Diana reference. That tiara is owned by the Spencer family. I personally don't see Meghan borrowing that on her wedding day, so I'm adding this option instead for those that want a big Diana reference. Obviously now worn by the Duchess of Cambridge. 7. Something New or New-to-Us: The seventh question mark option might be the one of the strongest. Sarah, Duchess of York got a purchased tiara; the Countess of Wessex was loaned a tiara we hadn't seen before her wedding day. Will something new be bought? Will something previously unknown be unearthed or newly assembled from the vault? Place your vote below! The poll will be open through Tuesday at noon Eastern, and then we'll see what your collective guess is (if you can't see the poll, you may need to click through from a reader or email, or try a different browser). Which tiara will Meghan Markle wear on her wedding day?